At some point in their lives, many people join a gym or fitness club. It’s often prompted by not liking how their clothes fit or the way they look in the mirror. Some might purchase their gym memberships in preparation for a major life event like a wedding, to try a new fitness craze they’ve read about, or to tag along with friends.Others are seeking to establish a routine for a longer, happier life or to channel their stress into a healthy outlet. Doctors will also sometimes recommend that their patients start a diet and exercise regimen to combat medical concerns like high cholesterol, excessive weight, or high blood pressure. Joining a gym can help with a host of problems, if the person is truly willing to invest the time and effort into building a healthier mental and physical life. 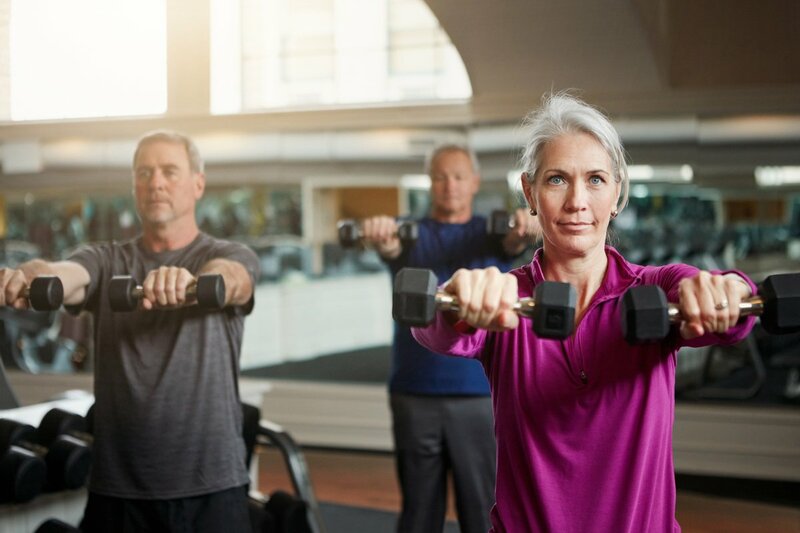 All of these benefits are possible, provided that you are following a vigorous exercise program that has been correctly designed, executed, and maintained over time to address your changing health and fitness needs. You should conduct this program at least 30 minutes each day for five or more days a week to achieve maximum results, according to the Centers for Disease Control and Prevention (CDC). With all these benefits, it’s no surprise that many individuals begin their fitness journey excited. They buy slick-looking gym clothes, bags, and shoes; tell their friends that they are going to make some healthy life changes; and charge into the gym ready for action! New gym memberships particularly soar in late December and early January, when many people make their New Year’s resolutions. According to the July 2015 Wall Street Journal, there are over 54 million gym and fitness memberships in the US, and the numbers are rising. Altogether, Americans spend more than $60 billion on fitness measures like gym memberships and weight loss programs each year, according to U.S. News and World Report. It’s a booming business, and one that is likely to continue growing as Americans seek to counter the nation’s ballooning obesity rate. But although millions of people buy these memberships, far fewer are actually making use of them! In fact, according to a Mintel Survey, only one in five people who has purchased a gym membership goes at least once a month. Some studies have shown that 60-80% of gymgoers dropped their memberships or quit going within the first eight months of signing up (and most after three months!). Millions of people continue to pay for these dormant memberships despite never using them. Injury: According to the National Institutes of Health (NIH), many individuals are “weekend warriors” who try to cram the recommended five weekly workouts into just Saturday and Sunday, putting excessive stress on their bodies. Others don’t know their limits and aggressively over-exercise joints, muscles, or certain body parts too frequently rather than implementing a safer, more gradual buildup. (Often, the reason for individuals using too many weights or overly exercising is to impress others.) According to the US Consumer Product Safety Commission, injuries caused by exercise and fitness equipment increased 45% over a three-year period, with the most accidents caused by treadmills. Men over the age of 50 tend to have the most mishaps. More than 45,000 exercise injuries are treated at hospitals annually, and many require surgery! Still more go unreported, and the pain they cause goes untreated. Uncomfortable gym environment: Many of us see slim females or fit males in the gym and ask ourselves in envy, “Why can’t I be like that?” When we don’t see results in a short period of time, we feel like failures and give up. Others feel intimidated by the lack of privacy working out in front of others and cannot focus fully on performing their routines correctly. Many gyms also play blaring music that makes it hard to focus or listen to guidance from trainers. Boredom: Exercise is work, and lack of knowledge can lead to doing the same things over and over. Self-guided gymgoers typically lack the variety and motivation provided by trainers, who can mix up exercises to create different, stimulating regimens. Limited encouragement: Habits are driven by rewards, motivation, and recognition. The mind seeks positive reinforcement when different routines are created. However, many people lack someone who is at their side to tell them, “You can do it!” Involving a partner introduces accountability; you don’t want to let him or her down, so you stay involved. Unfortunately, gyms with staff members driven by commissions often discourage knowledgeable members from demonstrating proper exercise techniques to others. Failure to prioritize: Most people have busy schedules, but few place exercise as a high priority. They allow other activities to fill their time, telling themselves, “I’m too busy to exercise today.” As a result, they slowly drift from an active program to not going at all! With these factors at play, many gym memberships go unused. However, gym operators usually see this as a good thing: the fewer the people in the gym, the less crowded it is; the more parking is available; the more access to the equipment for regular users; the fewer facility supplies and utilities are needed; and all the while, cash is still coming in! In fact, to test the system, we once took out a year’s membership at a well-known gym for a low price and never attended for 12 months. Although the gym maintained electronic records of member attendance, no one ever called to encourage us to come in...until the membership was due for renewal, and then our telephones lit up with sales solicitations! 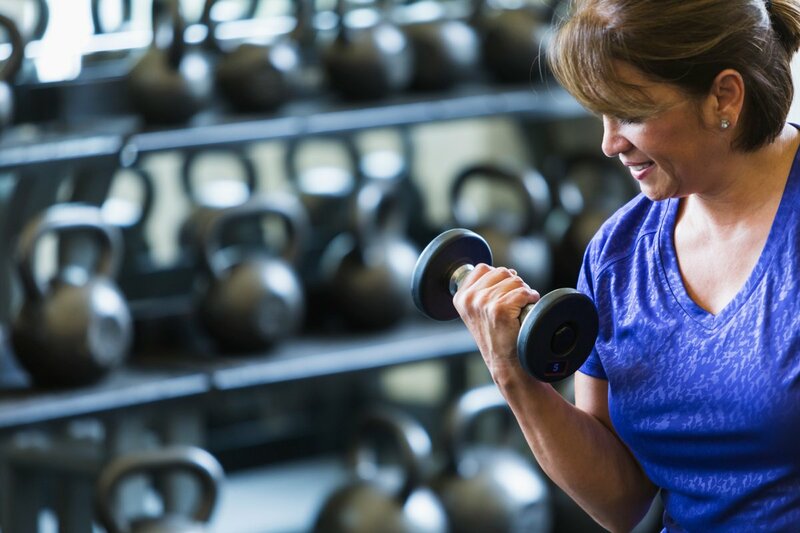 The bottom line: Exercise is good for you, and the gym is a great place to help your body and mind grow stronger. However, approach the idea of joining a gym with caution. Without proper guidance and support, you could severely harm yourself or, at the very least, lose out on some hard-earned cash. The key to success is to develop a plan, preferably with the help of someone knowledgeable who can guide you to success. Look for future articles from us on how to select a personal fitness trainer, avoid injuries, and improve your overall health through proper exercise. About the Authors: Our corporate and personal purpose is to “create opportunities to improve lives” by sharing our knowledge, research, experiences, successes, and mistakes. You can contact Joel DuBose or Mike DuBose by e-mailing katie@dubosegroup.com. 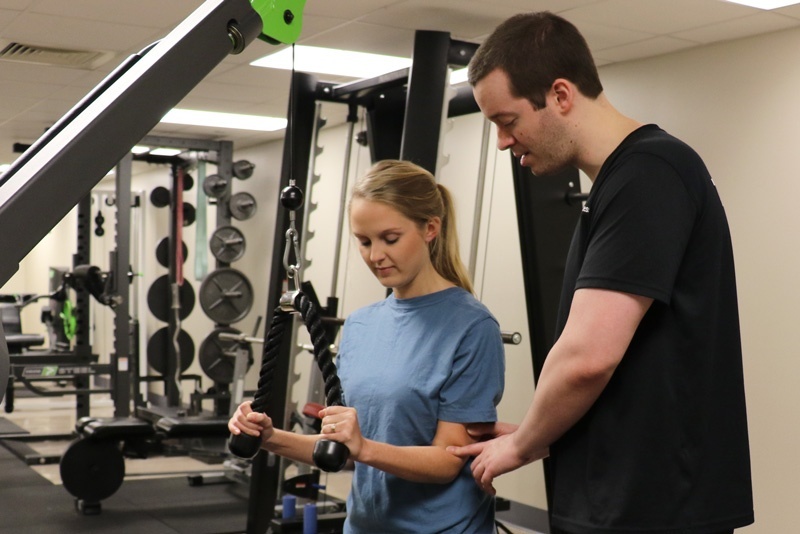 Joel DuBose is president of DuBose Fitness Center, a private gym that only offers one-on-one personal training. He studied exercise science and psychology at the University of South Carolina and later served as the strengthening and conditioning coach with basketball coach Tim Whipple at Irmo High School. He is a Certified Personal Trainer with the Aerobics and Fitness Association of America and the International Association of Fitness Science. Mike DuBose, a University of South Carolina graduate, is the author of The Art of Building a Great Business. He has been in business since 1981 and is the owner of Research Associates, The Evaluation Group, Columbia Conference Center, and DuBose Web Group. He also partnered, with his son, Joel DuBose, to create the company DuBose Fitness Center. Visit his nonprofit website www.mikedubose.com for a free copy of his book and more than 100 additional business, travel, and personal published articles, including health columns written with Dr. Surb Guram, MD.